A classical tabla virtuoso of the highest order, Zakir Hussain is known for his consistently brilliant and exciting performances that have established him as a treasure not only in India, but throughout the world. His playing is marked by uncanny intuition and masterful improvisational dexterity, founded in formidable knowledge and study. The favorite accompanist for many of India’s greatest classical musicians and dancers, he is also in demand by artists in all disciplines. 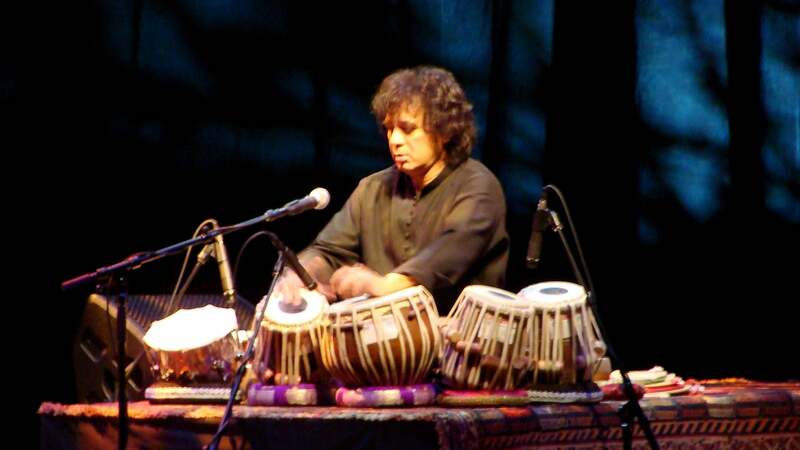 Widely considered a chief architect of the contemporary world music movement, Hussain has been involved in many historic collaborations, including Shakti, which he founded with guitarist John McLaughlin and L. Shankar, the Diga Rhythm Band, Planet Drum with Mickey Hart and Sangam with Charles Lloyd and Eric Harland. He has also performed with musicians George Harrison, Yo-Yo Ma, Joe Henderson, Van Morrison, Airto Moreira, Pharoah Sanders and Billy Cobham, as well as with choreographers Mark Morris and Rennie Harris, and the Kodo drummers. Every other year since 1996, he has served as curator, producer and host in bringing the very cream of Indian music to tour America and Europe with his series Zakir Hussain and Masters of Percussion. In the process, he has unearthed little-known traditions that feed into the greater stream of Indian music, playing an educational role in ensuring that these modes remain alive, to be handed down from generation to generation. The 2019 Masters of Percussion will be no exception, presenting American audiences with extraordinary and exciting — and often spontaneous — combinations of percussive and melodic performance.